Success is different for all of us. To some, it might mean having a steady job with good benefits. For someone sitting next to you, it might be earning a certain level of education or gaining a specific technical certification. To someone else, it might mean earning a certain level of income. It could even be having a title like Director of IT or Senior Specialist. The point is, , , success is in the mind of the beholder and it’s a bit different for each of us. What motivates me might not motivate you at all, , , and that’s perfectly all right. What this means though is that we all need to sit down and define what success means for ourselves, because if you don’t know it is going to be very difficult to achieve it – right? Once we know what success means to us, we can create a strategy and develop the plan to get us there. Something else to consider is that your idea of “success” will change over time. That’s right, once you achieve your Director of IT position (or whatever it is) you were targeting as your success milestone, you will identify another goal, , , one that’s higher and more ambitious. I’ve been managing IT resources for many years and have had some lofty titles and prestigious positions in some great companies. Today, I run my small training company and set new goals every year as to what success will mean for us here at MDE Enterprises, Inc. If your goal is to be more effective in an IT manager role for your company, I can help you. We have the best tools and resources for IT managers in the industry, , , practical and proven tools that really work. 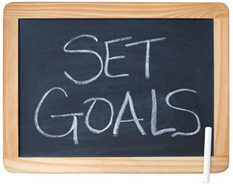 Whatever your goal, you need to develop a plan to get you to your targeted success level. In most situations, achieving success requires you to deliver results, , , and results are delivered by those who know what and how to get the job done. It’s pretty simple when you stop to think about it. 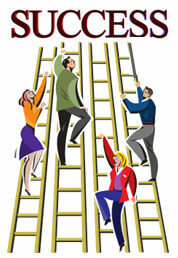 If you want to climb the ladder of success, decide what it is that you want and devise a plan that will get you there. A key part of the plan has to be the education and training you need that will position you to deliver the results required to achieve the level of success you target. For a technical resource, it will be specific technical training, possibly a certification or two, and exposure to certain types of projects where you can gain sufficient experience in your field. For IT managers, it’s learning what your senior management team needs from your IT organization and knowing how to deliver these results through your team. You probably also need some tools to help you get things done, ,, whether it’s a technical objective or a management objective. Not only do you need the tools to help you succeed, you need to know how to use them to deliver the results it takes for you to succeed. Regardless of what your success goals are, knowledge is the key. Invest in yourself to gain the knowledge and your potential for success increases dramatically. Don’t know where to start? Find a mentor or someone with experience you trust to help you think about your situation, , , to openly and honestly discuss your potential, , , and to help you develop a realistic plan to achieve more success. Once you do, you will be amazed at how empowered you become, , , because you now have a plan that’s within your control. Here’s to your success !! Success is not all about money. Certainly, it’s important for some, but making a lot of money is not necessarily a true measurement of one’s success. Happiness in what you do, the quality of life you have with your family, your hobbies and activities outside of work, , , many things make up a person’s “success factor”. For example, my Dad was not a rich man in terms of money, , , but he was one of the richest men I’ve known. He never made a lot of money, but he had tremendous amount of respect and more friends than one can count. At his funeral I learned so many things about his giving to others and how much it meant to them to be his friend, , , and how much fun he was to be around. He didn’t have a lot of money but he was very successful, , , it’s all what you want to make of your life in the end that counts.